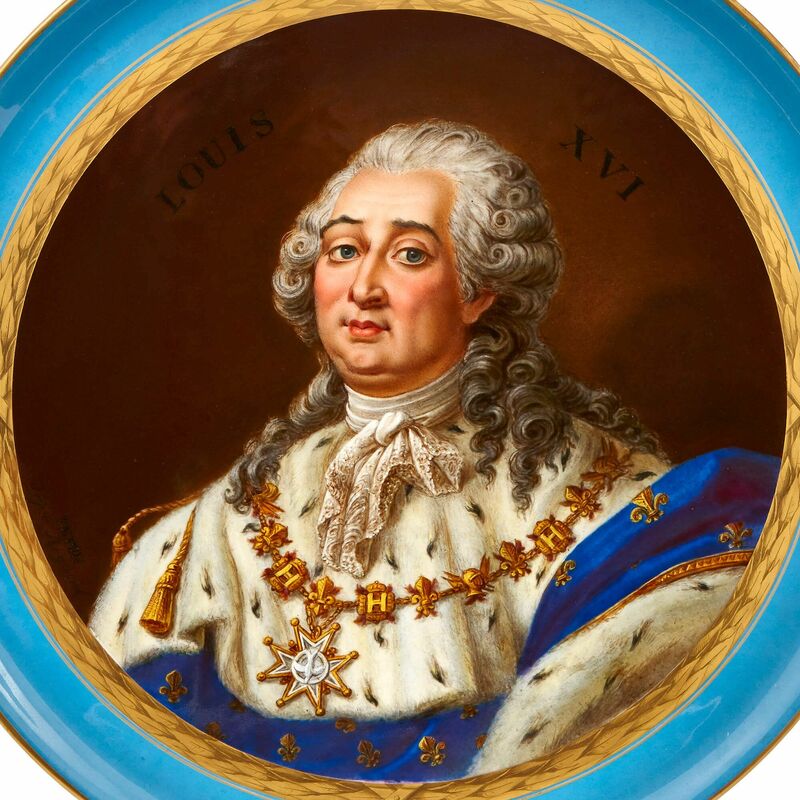 This fine and large porcelain plate is decorated in the Sevres style and features a beautifully detailed bust portrait of the French King Louis XVI. Created in the style of the celebrated Sevres Manufactory, this porcelain plate or charger is a triumph of the ceramicist's craft. 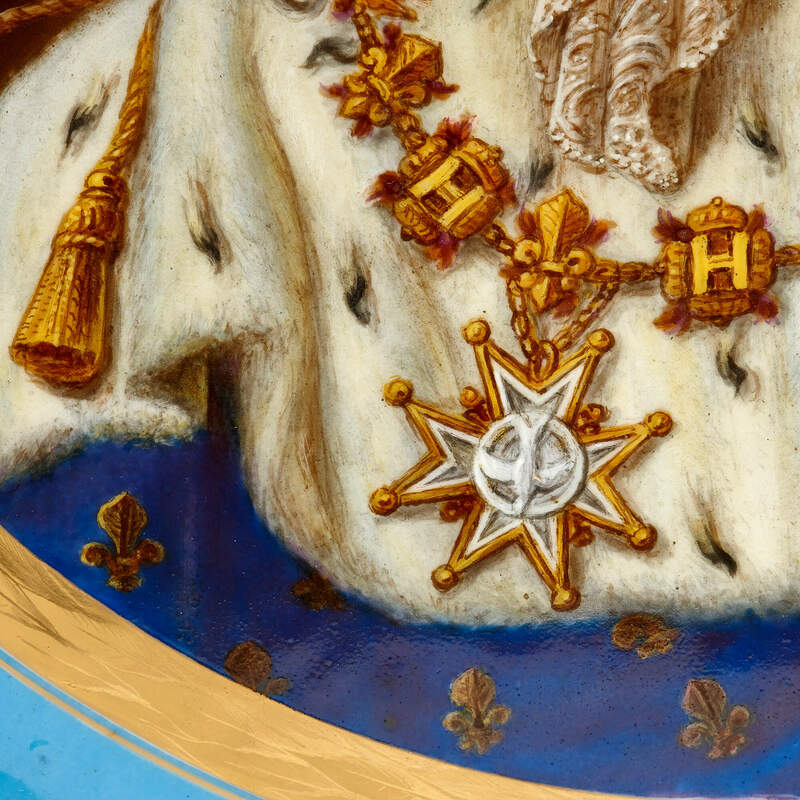 It features a portrait of the notorious French King Louis XVI, and is probably after a painting by Antoine-Francois Callet (1741-1823). 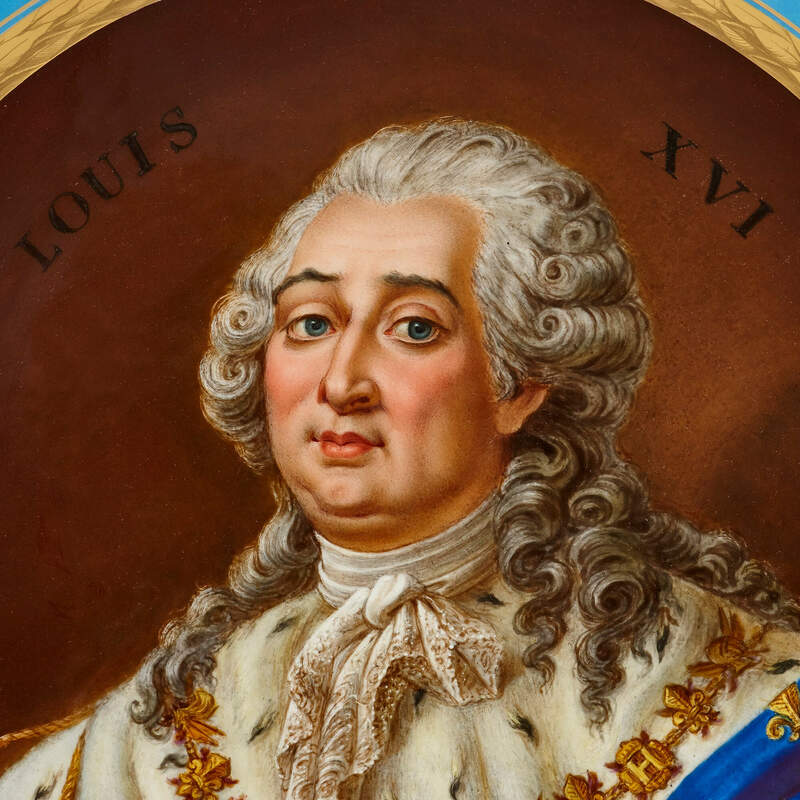 Callet was Louis XVI's official portraitist, completing his first portrait of the king in 1779 and creating several variants thereafter, some of which have been lost. The original full-length portrait is currently held at the Prado Museum in Madrid, Spain. 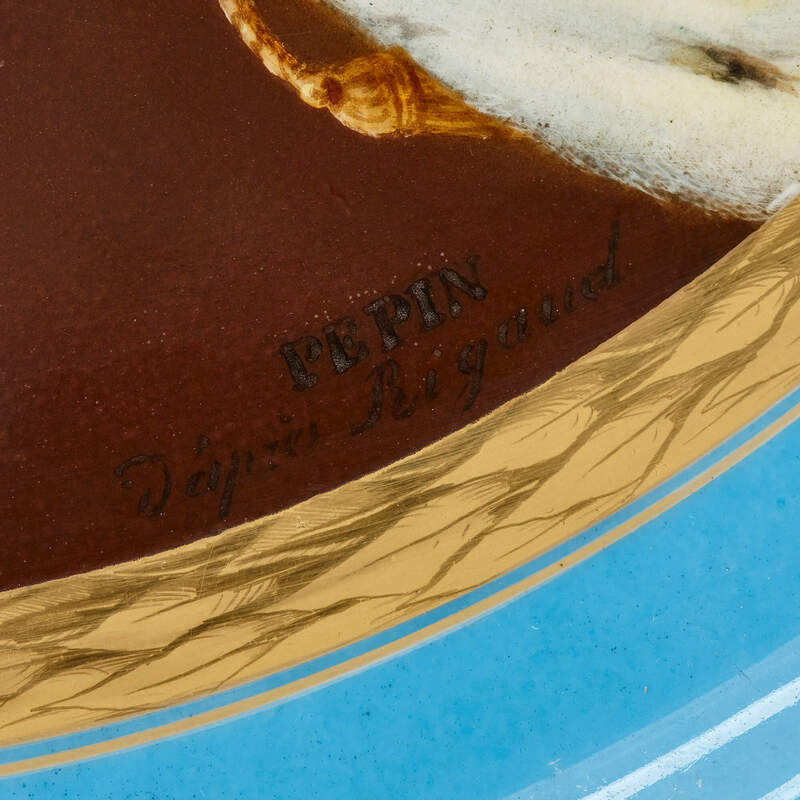 The present portrait is set against a reddish-brown backing and bears the title 'Louis XVI', together with a signature reading 'Pepin / apres Rigaud'. It sits inside a gilt laurel-wreath frame within a Sevres-style 'bleu celeste' (turquoise blue) outer border. 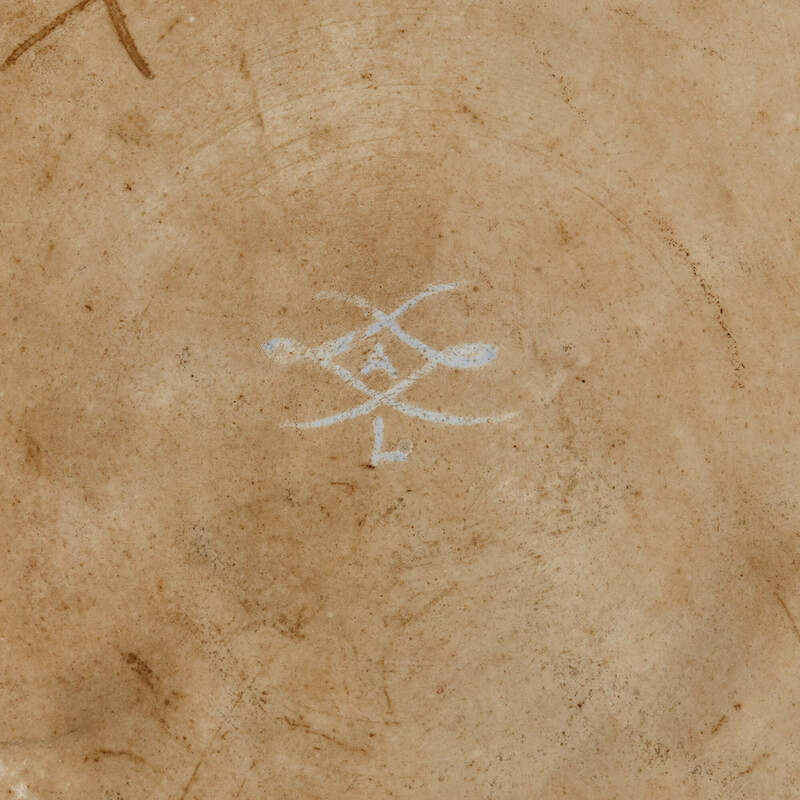 There is an impressed L-mark for the Sevres factory on the underside of the plate. 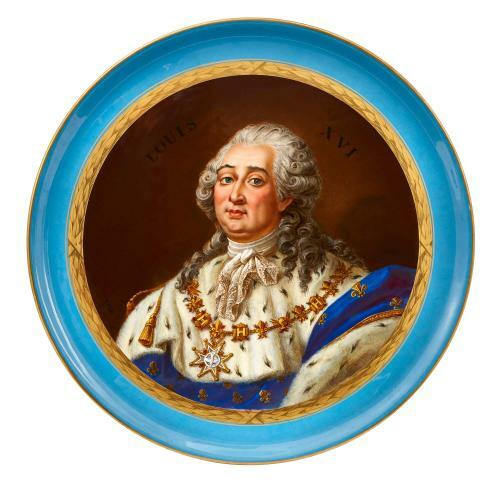 This porcelain plate would make an excellent set with this other pair.